Tami Simon: You are listening to Insights at the Edge. 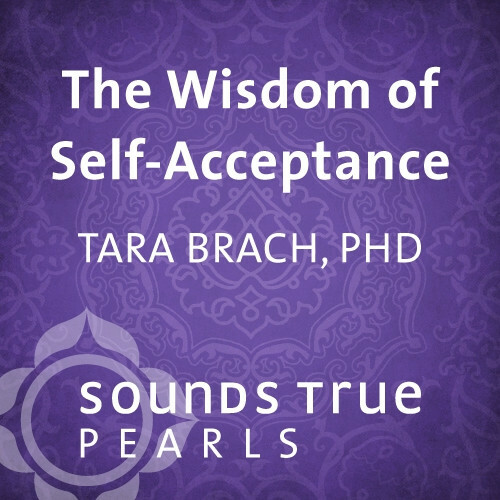 This week is a re-broadcast of one of my favorite early episodes of Insights at the Edge, and one of the episodes that has received the most positive feedback from listeners—Radical Acceptance with Tara Brach. 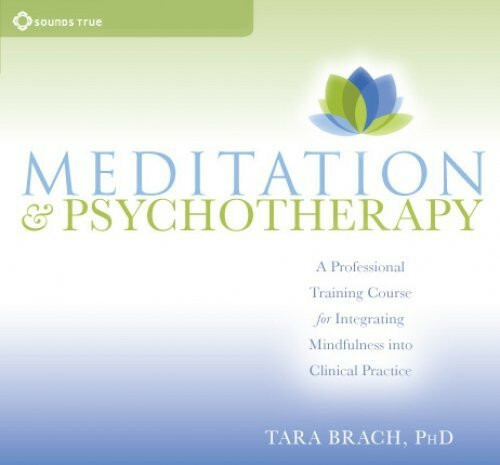 Tara Brach is an author, clinical psychologist, and the founder and senior teacher of the Insight Meditation Community of Washington, D.C. She is the author of the Sounds True audio learning program Radical Acceptance: A Buddhist Guide to Freeing Yourself from Shame and a program on Meditations for Emotional Healing. In this episode of Insights at the Edge, I talk with Tara about radical acceptance in the face of difficult emotions. Here’s my conversation with Tara Brach. TS: Sounds True publishes lots of different programs on working with emotions, and one of the things I have noticed is that some of the authors talk about what they call “negative” emotions: anger, fear, sorrow, depression. Do you think any of these emotions are “negative”? TB: I don’t use the word “negative.” And the reason is that every emotion feels like it has intelligence and that our nervous systems were designed to have them for a reason. These emotions cause suffering when our sense of being has gotten identified with them. So [feeling these emotions] is not bad. It is not something bad happening as much as the fact that we have lost sight of who we are and that our sense of self is now identified with “I have to have that” or “That I hate.” There is a kind of contracting and a losing sight of something. In that way they can cause harm, but they are not negative. And any emotion can do that. TS: People think an emotion that is “positive” would be something like joy. It is like all [emotions] are passing states. They are all biochemical, subtle-energy or gross-energy states that come and go. If our sense of who we are and how things should be are hitched to them, then we’re in trouble because they will come and go. So the real freedom is in relating to the emotions. They are waves in the ocean that rise and pass, but they don’t define us. TS: So let’s take an emotion that we don’t have to call “negative,” but it’s clearly difficult—very difficult—for people. Something like shame, which I know you’ve written about and teach about. Let’s say I’m feeling this incredible sense of shame about some way that I’ve acted. Now what is the intelligence in shame? I feel terrible, so what could be intelligent about shame? TB: Yes, I know. I have wondered that. I started researching animals, because if [a behavior] is rigged in mammals, there is usually some survival function—and there is a survival function in shame. There is an upwelling of [shame] when you’ve stepped outside the boundary of what is OK for your collective community. That physical sensation lets you know you’d better hide it or back off, because if you show it you’ll get excommunicated in some way. So shame is a signal that you’ve stepped outside some kind of boundary. Now, I think that true definition may be rare these days. We’ve got shame so hyped that it’s not useful. I mean we’ve got so many standards that we’re trying to meet that when we [fall short of those standards], we feel shame. Shame has really proliferated, and that causes us harm. We become possessed by it and so on. But shame can be just a signal that can tell us to back off— to go to the left, go to the right. TS: Can you tell me how shame appears in the animal kingdom? What species does what? TB: Well, dogs feels shame. They know when they’ve done something their owners don’t want them to do. The tail between the legs is shame. That emotion helps [the owner] get cooperation [from the dog], but as I said, I rarely see shame being an emotion that ends up being useful in our culture. TS: Now in a dog, shame is pretty quick. The tail between the legs doesn’t last very long. TB: And that’s the difference between humans and animals. Because of our thinking mind—because we do so much remembering and planning—shame locks in rather than being a flicker of emotion. We humans do a thing I call “looping,” in which we have thoughts that create certain feelings, and these feelings generate more thoughts, and then we get locked into them. Or it becomes a mood. We get habituated, and then our sense of self actually gets identified with that mood. So it becomes less useful. And that is why so much of the freedom results when we can pause and begin to not believe our thoughts—and just contact the raw sensation. Over and over again I watch how people wake up from the grip of really painful emotions, and the sequence always involves a pausing. I call it the “sacred pause” because we tumble into the future. We are constantly in this kind of reactivity on our way to what is next—and we do it emotionally too. This thought creates this. So, pausing creates a space to actually deepen our presence. And in that space, unless the presence is brought to how the feeling is in the body, there is no freedom, because the identification [with that feeling] will still be there. But if you can pause enough to feel the feeling in the body, then there is a loosening and a kind of re-arriving in a sense of presence that is home, that is more of what we are. And then we can begin to see emotions as passing—as coming and going. TS: Now I can imagine what you are saying if the emotional experience—and let’s just stick with shame—isn’t that strong of a grip. But how do you generate a pause when you are really taken over by an emotional experience? TB: It might be a long way down the track. In other words, we eventually do pause. I mean, there is no healing without some, “Oh this is what is happening. OK.” Or without some shift in how we are relating, too. So there is a movement from reacting-to to relating-to, but it may happen way down the track, and part of the practice of meditation is that the lag time gets less. You have the same triggers and the same reactions, but remembering awareness comes more quickly. There is some remembering, and some pausing. TS: Now it could be that something is wrong. I mean, I just binged and ate 10 brownies and I feel terrible about myself and my stomach aches. Something is wrong. TB: So there is a difference between wise discernment, which says, “This behavior caused this harmful reaction and my body hurts.” That is wise discernment. “I am bad” is the aversive judgment. TS: So it is not bad that I ate 10 brownies and feel terrible right now? TB: No, you are not bad. That behavior caused a harmful experience. So if you want to say, “It is bad that it happened,” without saying, “I am bad,” that would be at least teasing it apart some. But the reason we suffer is because very quickly the self owns it: there is a sense of “I am bad,” or “You are bad.” As long as we are living in a world where something is wrong—in which you are bad or I am bad—there is a basic dividedness that stops us from being at home. So I was going to talk about RAIN. TS: It’s an acronym, so “R” stands for something. Unpack it for me. TB: Yeah. It is a useful one. I feel like the sickness in this world is homesickness in some way, that we have left home, that we’re in a trance and feeling like the self is separate, feeling like the self is bad. So that is the given of when it is suffering. RAIN is a way out if we can pause so we can come back home. The A is Allow, and that means you’re pausing and saying, “OK, I am going to allow. This is the actuality. I am allowing that this is what is true.” It is like acknowledging truth. Allowing. Just not trying to do anything about it. So it is Recognize and Allow. If [the trouble] is something light—if it is not a heavy emotional tangle—all you need to do is pause and just recognize and allow it. By recognizing it and allowing it, [you can work toward no longer] identifying with the emotion. And then the I is Investigate. This is a deepening of the Recognizing. But if [the emotion] is a tangle, you need to deepen your presence and really investigate what is really happening: “What am I needing? What am I fearing? What am I believing?” That kind of thing. The I also has the quality of intimacy. You can’t investigate unless [you feel] a quality of warmth or kindness [toward yourself]. I know many people who try to investigate their experience but there is a subtle aversion or coldness and it doesn’t reveal itself. So I is an intimate investigation. When you’ve been present with the shame in a really intimate way, such as “I binged; this hurts,” the identification dissolves. There is still hurt. You still may be bloated. There still may be sorrow about it, but the sense of who you are is not identified any longer. TS: So what dissolves this feeling of “I am a terrible person for doing this”? TB: A profound presence. In other words, when there’s more presence, the awareness itself dissolves the identification. When there is awareness of what is happening, the sense of our being resides in our awareness and the currents are still there, but you are not hitched to them. And that is the N of rain, which is Not Identified. So the Recognize, Allow, Investigate if you need to with intimacy, the fruit of that is not being identified. And I also think of N as Natural Presence. That you have relaxed back open into, or come back home to, Natural Presence. TS: “Rain” is such a nice word. It is soft. It is also like crying. TB: Exactly. And the rain rains down equally on everything. And it dissolves the identification with the self. And again, RAIN is a take-it-or-leave-it kind of acronym, but when we are in trance it is so confusing and there is so much reactivity that to have some simple way of remembering—it is really remembering. TS: It’s interesting that you use this word “trance” because I think most people think of that word in a different way—as an altered state or something like that. But you are meaning it in a specific way. The trance. TB: Yeah. I think of a trance as like a dream, when there is a larger reality, but our perception has narrowed and fixated. It’s only perceiving a fragment and it is a distortion. And the deep trance that most of us are living in is that there is a separateness. And that there is a self here. And usually along with that is that the self is somehow falling short. TS: So there really can’t be an experience like shame unless there is some belief in self. Otherwise you wouldn’t feel ashamed, would you? TB: I am not sure, by the way. Because, again, it has been reported that the biochemistry of shame is in other mammals, and I don’t know how much thought process and self-consciousness there is. But I do know that the suffering of shame involves a sense of self. So it might be that there is a wave of some sort of emotional contraction that is a message of, oh, you stepped outside the line. But as soon as you have a conception of a self, and that the self is bad, that’s the trance. TB: So that the identification could lock in. Yeah, I think that is kind of what it is. I’d like to know more about animal research. It is interesting. Because we do have the same emotions; they just proliferate and cause suffering in humans. TS: Now, I am curious if you’ve invoked the RAIN acronym in your own life—let’s say in the last year—with something you might be going through. And what that might have been like for you, and how it worked. TB: Oh, I do it a lot. And it is very quick for me. Mostly RAIN is RA. It is mostly this recognizing and allowing what is happening, and the allowing gets deeper and deeper so that there really is not a resistance. There is a disillusion of any sense of self. But I have plenty of opportunities when I have to actually investigate more. And I guess the big one—and this has been the last few years—I’ve focused more attention around blame: judgment and blame. It’s gotten clearer and clearer to me that any time I am blaming someone—myself or anybody—it is a story, and it is causing separation. And if I believe the story I am in a painful trance. I’ve left home. So I have gotten very intentional and purposeful about not believing my beliefs about “You are wrong” or “I am wrong.” That has been like a sadhana. TS: By the word sadhana, you mean spiritual practice? TB: Yes, spiritual practice in which I am much more intentional. TS: Can you give me a specific example of situations that might evoke blame in you? TB: Yes. [One example is] if I am with my family of origin and I have some evaluation that everybody is doing things wrong—they are not doing things according to my agenda. [Another example is that]I got married three years ago, so I have a later-in-life marriage, which is really a wonderful experience. I am finding that this is the place where I can’t believe myself. That I get into such a small, judgy kind of place of how things should be. And so there is suffering in it, because when there is blame, I feel like I am closed hearted—that I am just not the loving person I want to be. So the process has been interesting because I want for there not to be judgment, and so I’ll do RAIN and in a way it is like a bargain of mine. Like, “I will be really with this, investigate, open to it, be intimate with it, so that it will go away.” That’s not truly allowing. So I get to the point where a judgment will come up, and I will tell myself, “Don’t believe it; feel the rawness under it.” I will feel under it and [realize] that my need is to be seen, that [my husband] just is not seeing me, so therefore I am judging him for it. I will get that, and then offer myself the seeing, and I will be with it deeply, and then [I] will [feel] the non-identification. I will feel very spacious, and things are coming and going. And then—judgment comes right back up again. And there was a profound compassion that opened up that has been a place of resting. Judging happens, but I’m quicker to not believe it but to really get that it is not something that reflects badly on the self. And it is not generated by self. It is just happening. And so there is a lot more compassion holding it than before when I was struggling to get rid of it. TS: You know, that is interesting. Judging just happens. Do you think if you investigate what the roots of the judgments are, and “I have judgments in these kinds of situations about these kinds of things,” wouldn’t you potentially find something from your own early biography that would be the root of it? So it is not like it just happens; it is that you don’t potentially understand why it is happening? TB: I would say judging is definitely conditioned, but it’ the most existential conditioning that we all have. I mean, judging is universal. “Comparing mind” and “judging mind “are considered to be the last mental dualistic activity to dissolve. TS: Can you describe the sequence? TB: Each of the steps? TS: Yes. What are some of the other big things that dissolve before judging? TB: Certain kinds of grasping. Certain kinds of jealousy. Certain kinds of anger. But there is something about comparing mind, the subtly of this, that, and then having an evaluation placed on it that is the last of the discriminations of a dualistic mind. TB: So there is a conditioning that is very existential. It has to do with “separate,” “something is wrong,” and then assigning blame as a way to control. Because as soon as you can say, “Oh, that is the cause,” then there is a sense of controlling. If I know you are wrong for doing such and such, I can fix you and make you different. So while I might have my own karmic sequence of what made me decide certain things were wrong, the tendency to blame is pretty fundamental. It is beyond my own personal history. TS: So what you are saying now is that when judging or blame emerge, you notice yourself, whether you are comparing with someone else or you are blaming someone or putting down somebody, you know, the metaphor I use for it is in certain situations I notice myself kind of finding a shelf I can stand on. And I am like, “Why am I finding a shelf that is relative to their shelf? What am I doing? “You are saying you recognize that and you allow it. Now what about the second two steps? TB: Well, when there is a real tangle I will investigate it. TS: How do you do that? TS: What do you mean by aversive judgment? TB: So let’s say I have some critique of my husband, like he is not really slowing down and paying attention the way I want him to do something that feels profound and important. And I am aversive, meaning I am angry, that feels negative. I feel like that is a put-down to him. He is not deep enough to be paying attention the way I want him to. That’s what I mean by an aversive judgment. TS: So you are pulling back a little bit somehow. So if I can get in touch and investigate what the unmet need is underneath the blaming belief, then compassion and softening start happening. And I often use this gesture when I teach. There is a capacity, either physically or energetically, to offer a sense of kindness and tenderness to that place that has a need. And I no longer am fixating on what is wrong with you; I am responding to the unmet need. And that starts to dissolve in the sense of self. Because as soon as I become the compassionate presence, I am no longer positioning inside the needy self. And the whole of freedom is a shift in identity. I mean, the whole path is waking up from a story of a self that is either “I am wrong” and a self that thinks others are wrong, to that presence and that tenderness that is just awake. TS: So how would you say you experience your identity now? TB: In this moment? Well there is a happiness right now, just to name a mood. Because we are playing and exploring a terrain that is really alive for me. And so it feels right now like there is this kind of dynamism and tenderness and excitement, but not that it is happening to a self or that a self is doing something. And I don’t feel like you are a self in there and I am a self in here, but more of a sense of there is a field of awakeness and that it is holding this conditioning of these body-minds that are interacting. And that there is a warmth in it. So that is why there is the happiness, because there is not so much of a location in here. There is much more of a field that is sweet. TS: You very briefly alluded to the fact that you and I were having a conversation before this conversation, where we were talking about how in your intimate relationships—with your marriage partner or in close family relationships—that that is where the baggage can often surface the most, no matter how expanded you’ve been in different situations, meditations, disciplines, etc. So why is that? Why do the places that trigger us happen most in our intimate relationships? TB: That’s where there is the most attachment. We’ve fixed most of our needs and our hopes—and therefore our fears—around those relationships, so we hold on most tightly to wanting them to be a certain way. And we freak out when they are not. TB: I’ll back up and say I was very touched by a story from an African tribe that I thought was quite beautiful. This tribe has a thing called the Drowning Man’s Trial, where if somebody is murdered, the family has to mourn for a year. But then they put the killer on this boat out on the river. They tie up his hands and his legs, and then they throw him into the river. And the family has to decide whether to swim out and save him or whether to let him drown. They believe that if they let him drown they will have justice, but they will mourn [the murderer] for the rest of their lives. But if they accept that things aren’t always fair and that things that are painful happen, and they save him, they will have a way of healing. This tribe believes that vengeance is a lazy form of grief. Vengeance is a lazy form of grief. TS: That is very deep. I am going to have to think about that for a moment, Tara. TB: So vengeance—whether it is the vengeance of resentment, because resentment is a form of vengeance, just playing the story over again. Or whether it is the vengeance of going to war. When we act out—out of our pain—then we’ve moved away from the one place where there can be healing and freedom. And so with the people closest to us, there is a constant subtle dynamic of trying to control how it is—pushing away with this judgment. If instead of reacting we just stay and open to what is under there, in that opening we can re-find the truth of who we are. I mean, that is really what we are—kind of waking up out of the small self that needs to control and coming into that field again. But I have been emphasizing the blame piece because I feel like it is so big. It is big in our intimate relationships, and it is the war that is on this planet all the time. We’re in a constant cycle of reactivity—of playing out vengeance. The whole evolution of consciousness has to do with being able to pause and realize that vengeance is just going to continue to keep us in that sense of separate selves. TB: Well, I’d say a couple of things. One is when a person is not in emotional reactivity [he or she should] really reflect on their longing and aspiration, because I think of the whole path as intention and attention. If our intention is sincere—if we are in touch with what matters—that will energize remembering. So the more moments that each of us pauses and says what really matters—it is really loving presence. [When we] remember and realize and live from loving presence, that immediately softens [our] heart. Immediately [we feel] less of a shape and felt sense of a self. There is just more tenderness. And so for someone who can’t pause [during emotional upheaval] reflect on the most important thing when there is more space. The most important thing is to remember the most important thing. That sets up an invitation or gravitational field so that when [you] are in the thick of things, there is a little more remembering to come back to. TB: Really our intention is to pay attention. There are so many techniques and practices out there, and it doesn’t matter which one you use. The changes I’ve seen in all of us who are waking up are coming out of this very sincere longing to be free. That longing is like the voice of awareness calling us home. And the more that we listen [to the voice] and inhabit the longing—and trace it back and be the longing—the more there is belonging to what is true. Over these last few years, I’ve come to feel like it is a very deep practice to sense the prayerfulness in us. TS: That’s a funny thing for a Buddhist to say. TS: Not really, but people sometimes think so. So what do you mean by the prayerfulness? What are you praying to? TB: I am praying to what I am. I am calling on what I am. When I am praying I say, “Please love me.” I have an image of light and the bodhisattva of compassion. When [I feel] a sense of separateness, there is a longing that is “Please love me,” and then it goes deeper than that. It is “Please may I just be love.” Just be it. When I pray and say, “Please love me,” [I feel] a tenderness and a receptivity that lets in life, because [I had been feeling] like I am separate. When that happens, [I] realize that there is nothing out there, that I already am the love. [Poet and philosopher] John O’Donohue said that prayer is the bridge between longing and belonging. So [during times of] separation, feeling the longing and reaching out and letting it in allows us to dissolve back into that the loving presence and longing for is what I am. So it is kind of trick in a way, but it is a wise trick. In any moment that there is “not belonging,” there is some longing to come home. TS: You mentioned that word before: homesickness. So what is home? What is home for you? TB: Home is what we are. Home is the silence and the awakeness and the tenderness that is here. The only suffering is forgetting that. TS: Now I know that you work as a clinical psychologist—and that you still see clients. TS: Not anymore? When did you stop seeing clients? TB: Oh, probably about three years ago. TS: OK, but I think my question will still hold up. You’ve spent many decades working with clients. And here you are: an author, a speaker, a teacher, and a meditation instructor. I am curious about the difference when you are working with somebody as a meditation teacher and when you are working with them as a therapist. Do you see a difference in the unfolding process that people go through when working with a therapist versus what they go through when working with a meditation path? How do you see these two things? Or is it actually one thing? TB: I would say it is one thing—with different emphasis at different times. And it depends on the relationship where the emphasis is. So that is a broad one. In describing the healing process, I sometimes use Jung’s phrase “the unlived life.” There are tangles that are too painful to be with directly, so we create strategies as a way not to be with them. [Yet] healing [involves] bringing awareness to the tangles and letting them be included in the wholeness of being. It’s the same thing with learning theory: change happens [when] you can re-experience the same thing, but if you have added resources there is a new learning. And it is the same thing in spiritual life: that if you take the same experience you’ve had before—the same anger, the same blame, or whatever—but bring a deeper quality of kindness or noticing or whatever, those added resources shift your sense of who you are in relationship to the experience. And it changes the whole experience. And so in therapy, the same thing is happening. It is happening in the relational field because instead of me alone processing my own story, I am with you, and your care and your presence adds a new quality, which then changes my relationship to the story. So on one level there is a shift. In meditation, it tends to go more deep because there is a clear recognition of the story as a gateway into where the felt sense is in the body. And some Western therapies go into that more than others. But if they don’t, there is a limit to how much untangling can happen. TS: Do you think there is a limit to meditation without a therapeutic component—in terms of getting into some of the tangles? TB: I do—because the relational field is really important. It is like when the Buddha taught [about] the three refuges. One of the refuges is sangha, which is the relational field, and we can meditate and still be inside this trance story of a self meditating herself to freedom. And it is very subtle, this sense of “I am going to meditate, and I am going to bring RAIN to my stuff, and I am going to wake myself up out of such and such.” There is still some veil of delusion that I am doing something. In the relational field, you start touching into the realness of this togetherness that actually cuts through the trance in a very profound way. So therapy is not a light thing; it actually wakes us out of separation. Also, when a person has [experienced a great deal] of trauma, a lot of meditations cause people to get re-traumatized. TS: Can you explain that? TB: Yes. In the early days [of Buddhism’s introduction to this country] I would say that many Buddhist [teachers] would give instructions like Rumi’s [poem] “The Guest House”: open the doors and invite in all the demons and bring mindfulness and, voila! If you open the door to a lot of trauma and you don’t have the [emotional] resilience or stability, you are just rerunning the same trauma. Without anything added, it is re-traumatizing. It deepens the neuropathways and the grooves and the samskaras and so on. TS: By samskaras you mean what? If someone comes to work with me—either as a clinical patient or at a retreat—and they’re just beginning to open up to really big abuse or fear or terror, rather than saying, “OK, let’s be with it,” I’ll spend time helping them to develop a refuge, some resource that gives them a sense of safety and belonging and love. That refuge gives them space—a field of caring—so they actually have the capacity to be with whatever is so scary, without getting possessed. TS: OK, so let’s just slow down a little bit. What does it mean to build “affect tolerance”? TB: When you’ve been traumatized, there is almost a “singeing” so the pathways between the [brain’s] limbic system and the cerebral cortex are not the pathways that are interfered with. ([Scientists] are now able to track this biochemically.) So, you don’t have access to some of your normal adult perspectives; you don’t have access to memories that could be good coping strategies. The experience is: “I am that young scared child who is absolutely helpless and terrified. I have no resources.” So if you’ve been traumatized and you are meditating, you need to find some pathways back to [those] resources before just bringing straightforward mindfulness to what is going on. TS: Potentially, could you find a resource in your own body? Let’s say in the feeling of the lower belly? TB: Yes. That’s a great question because there are different domains of resources [in the body]. Unfortunately, asking people who have been traumatized to be with their breath is not helpful; sometimes they have a sense of suffocating and aren’t able to catch their breath. The belly can be a difficult [resource] because most of our gut existential fears clench the belly. Later on, after a person has developed resources, he or she might be able to soften the belly. A simple body resource at the start is the hands. If you can soften the hands, you send a message to the nervous system to relax. The hands are a really good anchor—and the feet also. Feeling our feet and whole body grounded on the earth—that is one level. Another simple resource is just having someone else present. That is so important. [When I work with traumatized people,] I will investigate that person’s resource repertoire. I usually ask questions such as, “When do you feel safe, when do you feel protected, when do you feel a sense of loving connection with somebody?” Sometimes [people answer], “The way my dog looks at me; there is no human.” Or, “Sometimes I can lean against a tree and the tree absolutely is strong enough for me to lean.” I will take any tendril that people have of feeling connected to the earth, to another being, or to a deity. And then the idea is to build on that until they have really good access to resources—until they get really familiar with the safety or tenderness or belonging there. Once that’s there, we’ll start accessing where the frightening, raw feelings are and go in and out. You know, just go in enough to feel [those feelings], but then make sure to sense the resource there. TS: So what happens in that alternation between the dredging up of trauma and the sense of being resourced, that creates healing? TB: Initially there is a total identification with the rawness, such as, “That is me.” And when you start going back and forth, you start sensing that that exists but there is larger sense of being that has room for it. Eventually, it is: if you can trust the ocean, you are not afraid of the waves. If you can trust this beingness, this resourcefulness, as home, the waves can be really big and there is still room. It is a profound shift of identity. I am not trying to make [this process] sound simple or short. I know people who have been building their resource states for years now and living “the unlived life” that way. TS: Are you saying that the process of finding a resource—whether it is body-based or could happen through meditation or through therapy—is a similar alternation between ocean and wave emerging. TB: Exactly. And it’s learning to find these resources. I call it “taking refuge,” because it is truth. We are taking refuge in what is true. If it is the look in our dog’s eyes, it is still the tendril to the truth of loving presence. Nobody can be alive and survive in a body without having some tendrils. Even the people who say, “There is no love in my life, and there is no safety,” there is something. TS: How can you say that so definitively? TB: Because I have never seen it otherwise. Without it, people die. It is like the monkeys that were deprived of touch died. If there is touch, there is some link, and that link is their belonging. So you can build on that. TS: You use an interesting metaphor: “the tangles within us.” That there is this tangle within us, that we distance ourselves from these tangles. I think that implicit in what you are saying is that part of the process of opening to this greater sense of resource is that we will become untangled. Is that the idea? And then what are the tangles to begin with? Are we talking about the untangling here? TB: The tangles are our core beliefs that something is wrong or missing—that I am separate or unlovable, or that I will always fail, or that I can’t trust you. And they are not just beliefs; they are beliefs with a felt sense. We have a whole lot of core tangles, and “tangles” make them sound more solid. They are processes. And the sense of being gets identified with them. TS: What do you mean “processes”? TB: They are processes of thoughts and feelings that trigger and loop and move and respond to the environment and then contribute to the environment. It is all a very interdependent universe. But they are identifiable patterns, is the best I can say without making it solid. “Tangles” are identifiable moving patterns that have a lot of charge and that our sense of self is organized around. And part of our sense of self is the way that we try not to feel the rawness; part of our sense of self is the way we feel completely trapped in the rawness. So it is the whole way that we are in relationship with these basic beliefs that are ignorance, that do not see what we are. And so how the waking up happens from these identified processes is that awareness sees the tangle. And that is basically what is happening: awareness is what we are. And awareness gradually sees itself. It sees the tangles, and it sees the energy underneath the tangles. And in seeing there is freeing. So in any moment that there is a real seeing of “Oh, judging is happening. It hurts. There is no way to control it.” In that seeing there is the freeing from the sense of a self that is judging. TS: Let’s pause for a moment on that one. In the seeing there is a sense of freeing from the self. OK, that makes sense. TB: We are not getting rid of the fear or even necessarily the tendency to judge. There is still judging. Or the jealousy or the hurt. That is not what seeing gets rid of. Seeing dissolves the sense of identification with it. Because in the moment of seeing the “what we are” is abiding in “that which is seeing,” and we are no longer positioned in that sense of self that is owning the experience. There is a shift in positioning. That isn’t exactly the way it is, but that is a language for it. So we are residing in something bigger. TS: Now Tara, you and I spent time together when you recorded your original program, Radical Self-Acceptance, with Sounds True. How many years ago was that? TB: It was probably about six years ago. TS: Six years ago. You know, when we sat down here together—I commented that to me you’ve just opened, expanded, grown, dissolved your sense of self, woken up further—whatever language we might want to use for it—and that you have blossomed so gorgeously. I’m curious about what your experience is of that—both for yourself and in the work you’ve been doing—and what you see happening around you. TB: I sense that there is an evolution of consciousness happening—and that it is really speeding up. This is a little more on the earth-plane level, but it feels like there is just this communication that makes us more intelligent, just between the left brain and the right brain. If the corpus callosum is thick, there is more communication. Some of the signs of trance are being speedy, and judgmental, and leaving our bodies. My sense in this evolution of consciousness is that there is more and more pausing and listening—deepening attention. Also more of a conscious longing to realize who we are and live from that. I am sensing this in more beings, more consciously, from all walks [of life]. And it is amazing. I mean, just everywhere I go. That the one who is looking out is the same who is looking out from in here and to the extent that there is homesickness, there is a longing to come back and know what we are, and see through the mask that we see others as. I’m seeing this more and more. TS: And do you have any interpretation of that phenomenon? TB: You mean how it is possible that it is happening? TS: Why it is happening? Why now? TB: One of the things I think is a misunderstanding in Buddhism is that ignorance is bad, or that sense of self is bad. I think that there is this natural unfolding going on whereby awareness naturally takes itself to be a form. And it also by nature recognizes that that is happening, and it wakes up to be in a form and yet in remembering the ocean-ness. I don’t understand how that happens in terms of the time of history on earth. There is something that just feels natural—that is just unfolding through all of us. Even though I don’t think there is a self that can do anything about it, there is a kind of skillful attitude towards that, a kind of cooperator to be available. Part of it has to do with being willing to slow down and having an intention not to believe our thoughts. And I am seeing more people choosing that way, to kind of get aligned with this evolution of consciousness. TS: Great. Thank you, Tara. It is great to be with you. TB: And you. Really. What a pleasure.